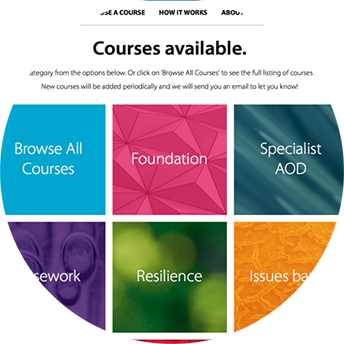 Our training courses have been developed for practitioners working with young people with AOD and related problems. Our sessions focus on deepening understanding, building skills, and developing capabilities. Our training program is underpinned by over 20 years of practice wisdom from supporting young people experiencing problematic substance use, and a research program to understand the function and meaning of substance use, and the development and resilience of young people. Please see our Training Courses below. If you are interested in any of the training courses, you can register through link belows. Please contact us on 03 8412 8507 or training@ysas.org.au. Description: Building positive connections with family is a major contributor to youth resilience. This course will explore some of the common challenges we face when working with family systems, and how to apply a range of practical strategies to engage families, reduce distress in the family system, and create a shared care plan. Description: This course will give participants an introduction to AOD policy, history, and development. It also covers the effects of various drugs and drug combinations, how to work with young people who have issues with drugs, and how to promote harm reduction. Geoff Bayldon is an experienced Youth Worker, and is a Senior Trainer and Practice Consultant. He has worked at the Youth Support and Advocacy Service (YSAS) for 14 years, across many programs, including Outreach, Day Program, Drug Withdrawal Unit, and long-term Residential Rehabilitation. More recently he was the Manager of the eastern regions community programs. Description: This is a skills based session to develop knowledge and practice in working with the threat response system when navigating high arousal states (such as aggression), and promoting safety through a trauma informed aggression management approach. Silvana is a Health and Wellbeing Consultant in Victoria, collaborating and co designing with organizations to build robust, reflective and resilient teams that enable individuals and collectives to access their inherent creativity, building both the capacity and the social capital of the workforce. In conjunction with her consultancy work, Silvana offers somatic psychotherapy to adults, young people and children who have experienced life traumas, stress and overwhelm. She is both an Occupational Therapist and a Somatic ExperiencingTM Practitioner with 25 years of experience across health and human services with further education and practice development in Family and Systems Therapy, Dual Diagnosis, Mindfulness, Complex Trauma, Somatic Psychotherapy, Neurodiversity, Community Development and Transcultural Mental Health.